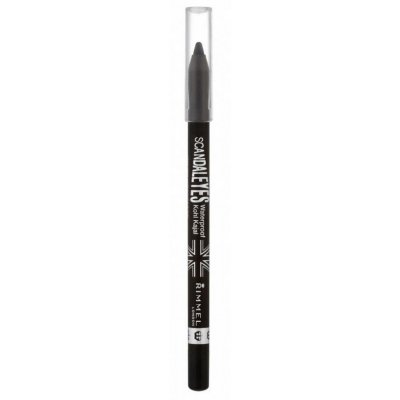 "Get the London look" with this Scandal Eyes 001 Black Waterproof Eyeliner from Rimmel. 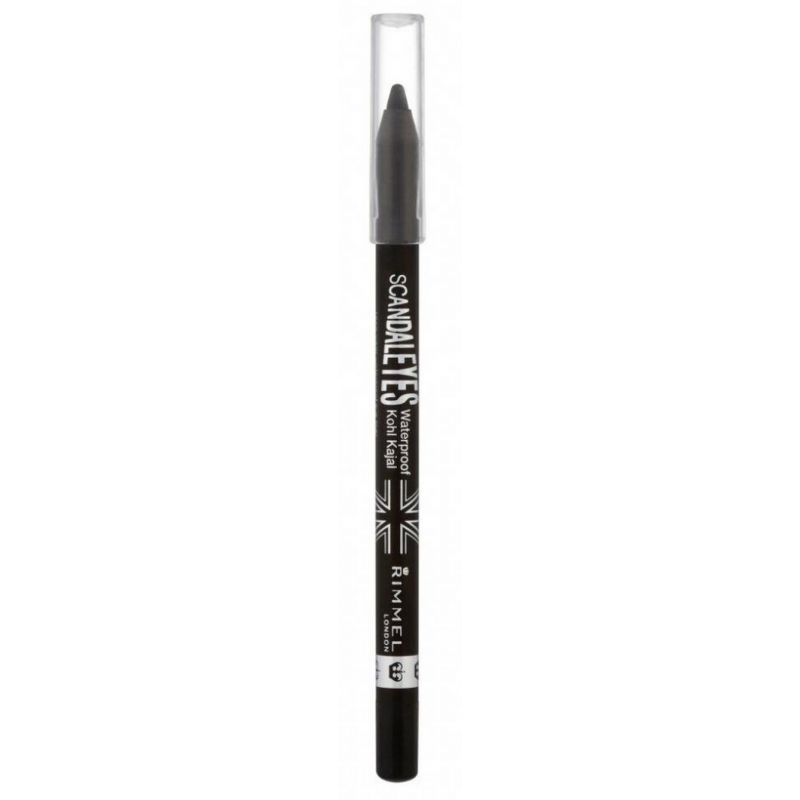 This kohl eyeliner has an ultra smooth and creamy formula that glides on easily with a precision pencil so you can curate whatever look you desire. Scandal Eyes Waterproof Eyeliner has been dermatologically tested and is suitable for sensitive eyes. The smudge proof eyeliner has been specifically formulated to withstand tears, sweat, humidity and rubbing, so will stay perfectly in place no matter what the day throws at you. The result: big, bold, beautiful eyes from day to night.